Girl dress this crop top up or down. 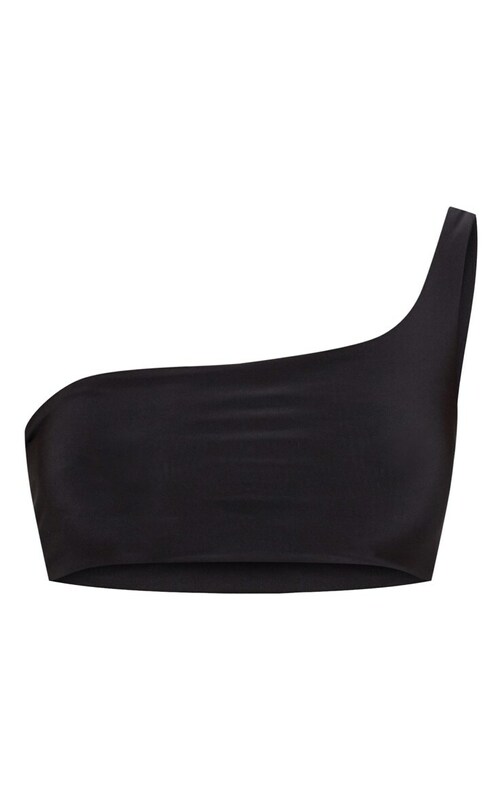 Featuring a black slinky material with a one shoulder design and a cropped length. Style this crop top with the matching skirt and strappy heels for a weekend worthy look.